Genetic screening is currently available through a link with Reprogenetics in Oxford. If you’d like to discuss the genetic diagnosis options available to you for your IVF cycle, please contact us. After the eggs are collected, they are fertilised using intracytoplasmic sperm injection (ICSI). The use of ICSI reduces the risk of DNA contamination derived from sperm. 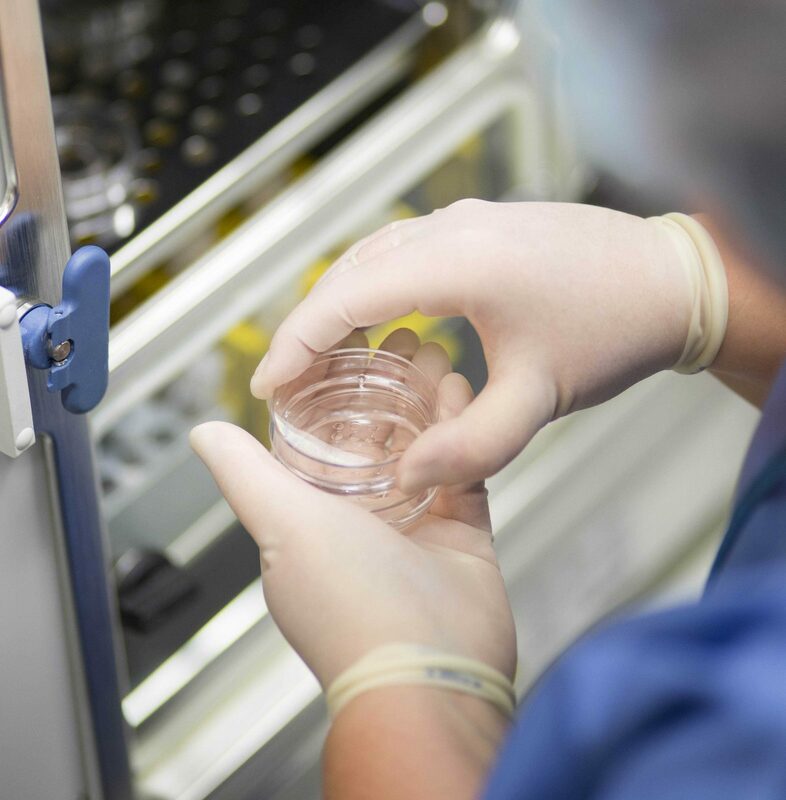 After growing the embryos for 5 days some cells are removed and sent to the genetic laboratory. The cells are analysed for the gene disorder, and the embryos are vitrified (frozen) until the test results are available. Scientists working in the Reprogenetics laboratory carry out the test on all of the samples received and provide the results 24 hours later. Embryos that are unaffected can then be transferred as with the any other IVF journey. If you’d like to discuss the genetic diagnosis options available to you for your IVF cycle, please contact the clinic . A full list of disorders is available at: http://www.hfea.gov.uk/cps/hfea/gen/pgd-screening.htm or contact us for advice.